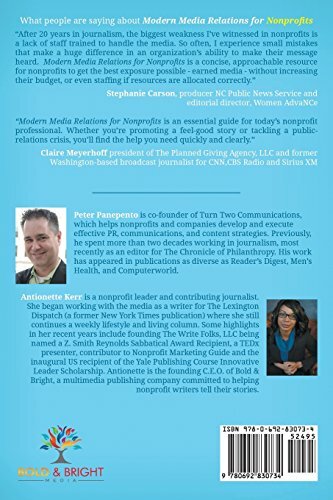 Peter Panepento is a former Chronicle of Philanthropy reporter and editor, and Antoinette G Kerr wrote for the Lexington Dispatch. Together they share practical advice for nonprofits large and small in how to plan their media coverage, how to understand and target their audience, and how to make the most of the opportunities of social media. 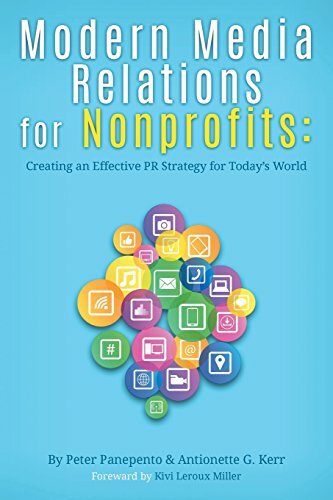 Modern Media Relations for Nonprofits: Creating an Effective PR Strategy for Today’s World includes a foreword by Kivi Leroux Miller.